Days away from the nearest port. A fire breaks out in the engine room. All too often, the fire turns into a major disaster. We'll work closely with naval architects to design, fabricate and install effective fire alarm, detection and suppression systems. 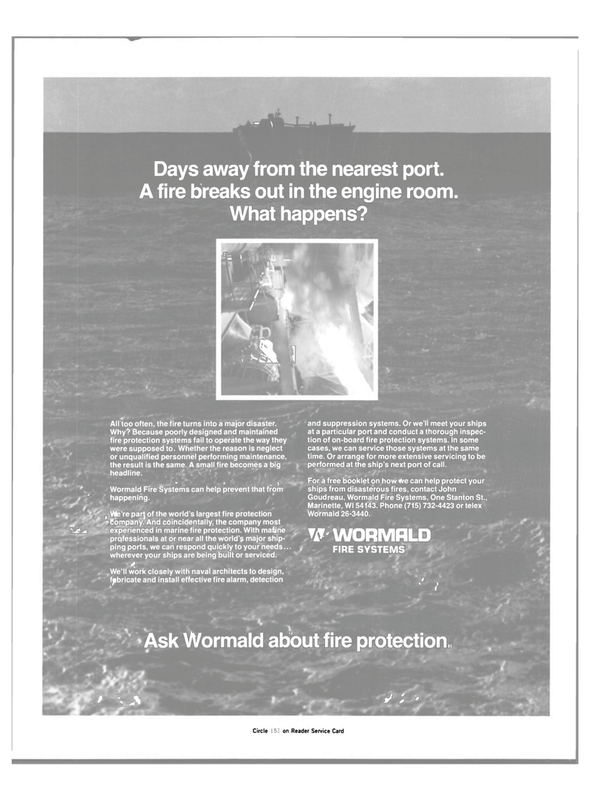 Or we'll meet your ships at a particular port and conduct a thorough inspec- tion of on-board fire protection systems. In some cases, we can service those systems at the same time. Or arrange for more extensive servicing to be performed at the ship's next port of call.